Euthanasia Prevention Coalition Euthanasia Prevention Coalition: Is euthanasia psychiatric treatment? Damiaan Denys M.D. 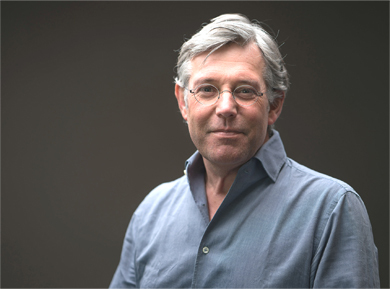 Ph.D., the President of the Dutch Society of Psychiatrists wrote a commentary that was published in the September issue of The American Journal of Psychiatry titled: Is Euthanasia Psychiatric Treatment? Commentaries on psychiatric euthanasia by experts, like Denys, are incredibly important for countries, such as Canada, who are considering extending euthanasia to people with psychiatric conditions. Although we had treated her intensively for 2 years, our advice was disregarded. Eight weeks later we received the obituary of the patient. Apart from controversy about the primary question, whether euthanasia is an option for psychiatric patients, there are medical and ethical dilemmas related to the practical process of decision making and execution. How can we reconcile the daily practice of reducing suicidal ideas and behaviors in patients with respecting a death wish in single cases? How can we distinguish between symptoms and existential needs? How can we decide whether a psychiatrist is sufficiently autonomous to judge euthanasia? Does the fragile therapeutic relationship between psychiatrist and patient not bias judgment? How are differences in opinion between psychiatrist and patient resolved? Although psychiatrists are not legally obliged to approve or execute euthanasia, neither can they interfere once a request is granted by a third party, as illustrated in the aforementioned case. The powerlessness psychiatrists may feel when facing a euthanasia request may be comprehended as moral distress. ... Paradoxically, although the number of requests has increased in the Netherlands, psychiatrists have become more reluctant toward euthanasia. In 1995, 53% of psychiatrists found it inconceivable to ever consider euthanasia; in 2015, 63% of psychiatrists rejected euthanasia. In the Netherlands, 83 people died by euthanasia for psychiatric reasons in 2017, up from 60 in 2016 and there were 6585 reported euthanasia deaths in 2017, up from 6091 in 2016. Finally, the possibility of euthanasia may lower many people’s threshold for ending their lives. The legalization of euthanasia not only appears to justify morally the intention to die, it also institutes suppliers of the services who encourage the demand for euthanasia. Whatever stance one takes in the euthanasia debate, albeit good or bad, right or wrong, in the end, there is a terminal effect. Euthanasia for psychiatric disorders is an infinite debate with finite consequences. 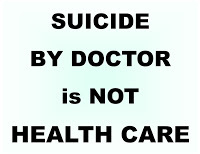 Suicide is not distinct from assisted suicide for psychiatric reasons. A psychiatrist comments on euthanasia for psychiatric reasons in Belgium.